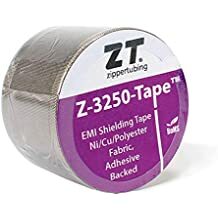 Instrumentation Medical - Industries - ZT | Zippertubing Co.
Zippertubing® delivers precision and accuracy where it matters in the instrumentation and medical industries. When we think of instrumentation, we think of precision and accuracy. As a corresponding case, interference in this industry can cause major issues with the complex pieces of equipment and machinery that need to operate consistently. Even slight EMI noise can interfere with these systems and degrade their functionality. 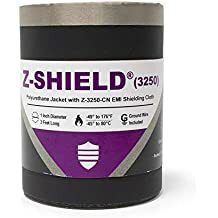 The Zippertubing® Company offers many different types of shields and raw materials that can be combined for compatibility with these systems, reducing the signal noise to the proper levels and ensuring that these machines operate perfectly. In addition, we are able to meet regulation standards for electrical wiring and conduits for the machinery, such as providing UL rated cable wraps and other solutions that satisfy the requirements and building codes for medical facilities. We’re able to manufacture all-inclusive custom solutions that include standard or special attributes, such as all white jacketing and materials that are halogen-free, hypoallergenic, and fire-retardant, with the choice of multiple closure options. In the instrumentation and medical industry, there are many special items and custom-made equipment that are retrofitted for commercial use. These retrofits involve adding new equipment and machines into existing vehicle systems, such as ambulances and helicopters, to perform medical evacuations and emergency airlifts. Zippertubing® can provide custom applications for bundling, protecting, and shielding the additional cables and wiring for these auxiliary systems and retrofits. In addition to the functionality, in this field, appearance is often very important. Some medical devices in specific areas are required to have cable management and bundling for safety, or by the organization's preference. An expensive device should maintain its professional look and be completely organized at all times. Cable bundling and organization can really make the difference in a machine’s presentation and functionality, and that’s where Zippertubing® can help. Here are just some of the products we have related to the Instrumentation & Medical industry! The upmost best in cable protection, functionality, application, and presentation in the medical industry. The Zippertubing® Company offers versatile cable management systems that are perfect for the medical industry. We manufacture cable bundling and jackets, EMI/RFI shielding, heat-shrink, and a broad range of custom harness designs, for the rigid regulations and standards of medical applications. Why use Zippertubing's Cable Management products in the Industrial & Commercial Industry? High-frequency electric field shielding for sensitive instruments, sensors, & components. Cable management for X-Ray, CT Scan, MRI, & other non-invasive medical scanning devices. Non-magnetic, copper-plated nylon, EMI shielding options for use in and around magnetic imaging systems. Individual conduit sheaths for radiology equipment installations running wires of different voltages in the same conduit or cable trough. Cable bundling that meets requirements of the American Health Care Association (AHCA) for installations in medical facilities. Our UL listed products comply with the National Fire Protection Association (NFPA) and National Electrical Code (NEC) for flexible wire conduit. Protect or cover damaged or susceptible sections of Tigerflex hoses or ducting. Improve safety and organization by routing harnesses together & out of the way of personnel or foot traffic. Polymer films and coated fabrics that are easy to clean or decontaminate. Wrap-around heat-shrink for repairing molded boots or cable extensions on hand-held equipment controls, power cords, displays, or other connected specialty devices, available in black, white, or clear.